#11-11 Ball return tray for antique pool tables. Accurate reproduction designed as direct replacement for damaged or missing original. 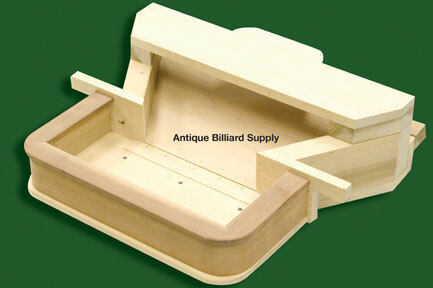 Fits most antique Brunswick pool tables with tube-type ball return system. Poplar and mahogany construction.